Should Albumin be the Colloid of Choice for Fluid Resuscitation in Hypovolemic Patients? Hemodynamic management represents a major therapeutic challenge in critical care and emergency medicine. It plays a key role during the entire healing process of a patient from hospital admission to discharge. Within hemodynamic stabilization, resuscitation is one of the major indications for fluid administration and is often a life-saving therapy that has to be administered as soon as possible, with the right dose and rate, and choosing the right types of fluid. Unfortunately, these pillars of fluid therapy are not supported by consistent and solid evidence in the scientific literature. The agreement on the right fluid for the right patient is a mantra that is still a source of debate. 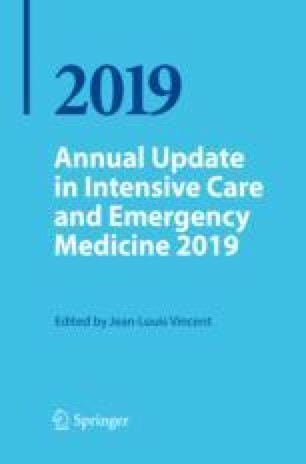 However, after the restriction of hydroxyethyl starch (HES) use in critically ill patients issued by the European Medicine Agency (EMA) and the Food and drug Administration (FDA) in 2013, crystalloids now dominate resuscitation fluids in hypovolemia although recent evidence has demonstrated increased mortality in critically ill patients receiving 0.9% NaCl (normal saline)—by far, one of the most used crystalloids . Kendrick DB. The blood program. 1962. Available at: http://history.amedd.army.mil/booksdocs/wwii/actvsurgconvoli/CH06.htm. Accessed 15 Aug 2018. Can I, Thomas WLS. Even normal saline is harmful if used wrongly, so why did EMA single out hydroxyethyl starch? 2018. Available at: https://blogs.bmj.com/bmj/2018/05/11/even-normal-saline-is-harmful-if-used-wrongly-so-why-did-ema-single-out-hydroxyethyl-starch/. Accessed 6 June 2018. Zwissler B. Open letter to the European Commission: marketing authorization of colloid solutions containing hydroxyethyl starch (HES). 2018. Available at: https://www.dgai.de/aktuelles/464. Accessed 3 Nov 2018.